Samizdat Blog: Revolutions in Manchester! 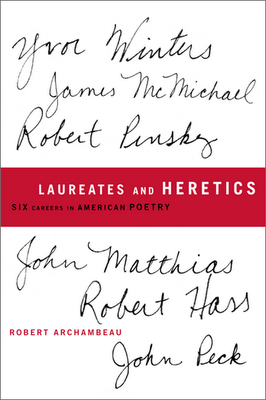 If the methods of composing the poems are semi-aleatory, Archambeau goes on to remark that a central influence on Matthias’ poetry is Modernism, ‘Not only is his work written in accord with a thousand Modernist techniques…it constantly invokes the Modernists themselves: the poets, the artists and especially the composers.’ One particular Modernist spirit invoked throughout the poetry is that of the Russian Modernists, not only Mandestam , but also the others in Akhmatova’s ‘four’; Akhmatova, Pasternak and Tsvetaeva. 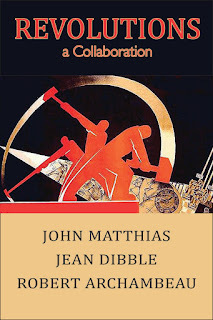 Archambeau claims that another Modernist spirit for Matthias’ is his refusal to compromise. 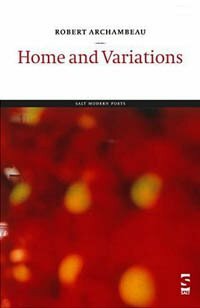 In part, that invocation of Russian modernism occurs from the moment you pick up the book with its rather Soviet-style cover of hammers swung in the pattern of sickles, and the book’s title. 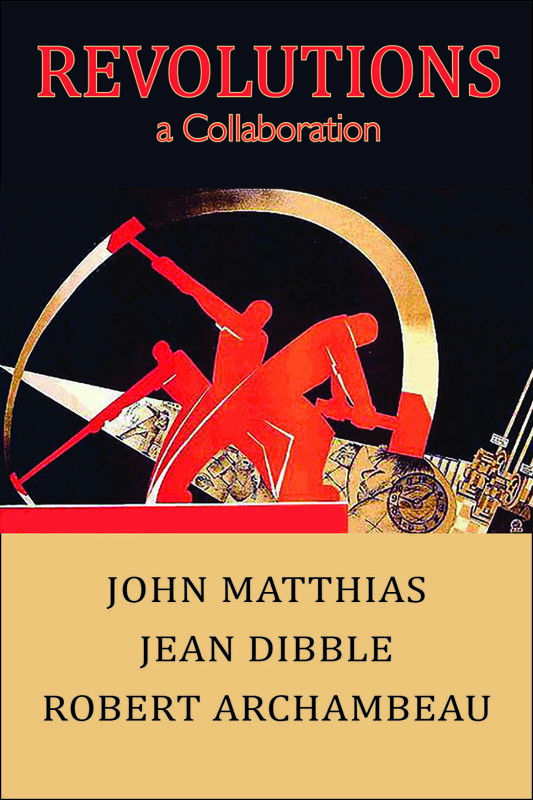 The collaborative nature of the book might also be seen as ‘revolutionary’. 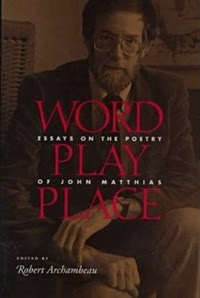 Matthias’ poems hint at a subdued ‘Russian’ narrative; they contain lexical gestures towards that narrative: ‘hussars’, ‘steppe’, ‘vodka’, ‘tsar’ all occur in the first two poems. 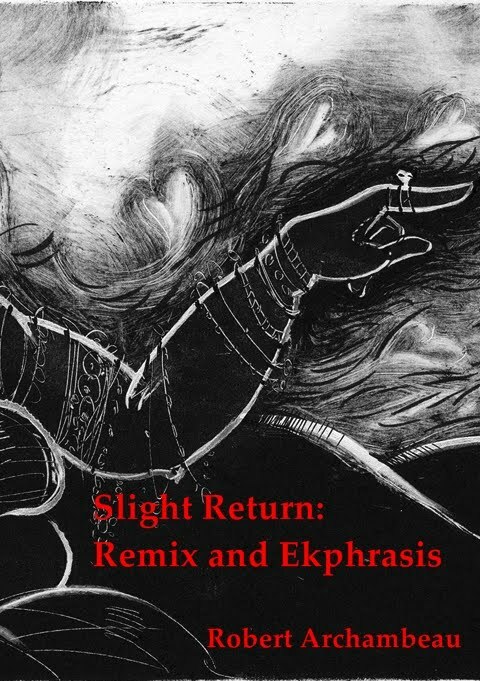 The poems also contain ‘characters’ who are engaged in an often surreal narrative in which the lexical gestures help to both pin down the action and also move it centrifugally away from possible narrow concerns. Archambeau riffs off all this with his own centrifugal commentaries. 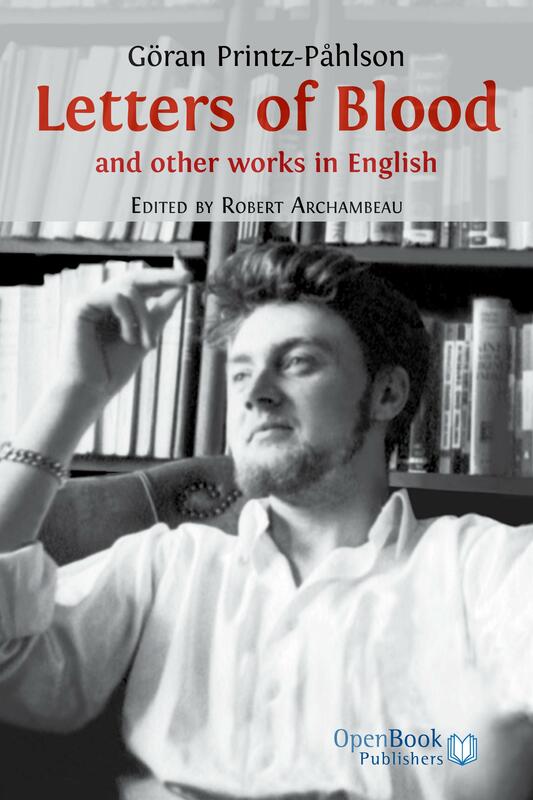 ‘Onomastic’, for instance, stimulates Archambeau to mention the ‘Oulipo’ movement and George Perec’s La disparition, a novel length book written without the use of ‘e’. Archambeau also mentions another modernist ancestor, in Gertrude Stein. Overall, what this book offers is something which is not quite revolutionary. 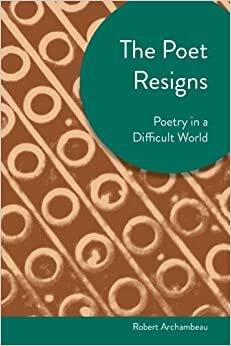 There have, after all, been many books of poems with illustrations, and Archambeau’s lively, focussed criticism is not the only time such poems as Matthias’ have been put under the microscope. 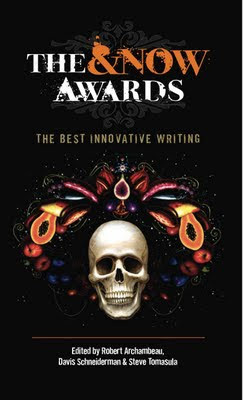 But what this book offers, that is new, is a sense that these are three artists who, each in their own way, are operating at the height of their powers, to bring this collaboration to a uniquely satisfying whole.